That Girl Is Amazing: Nancy Guberti. There’s nothing like a mother on a mission! Learn how a personal crisis turned into a quest to empower others to lead a healthier lifestyle! After spending over 15 years on Wall Street at major brokerage firms including Morgan Stanley, Credit Suisse First Boston, Lehman Brothers and Goldman Sachs, a personal crisis led Nancy Guberti on a new career path. Her youngest son was diagnosed with a liver disorder and numerous allergies that were adversely affecting his health and development. The same gusto she employed on Wall Street, she used to find answers. She decided to learn more about the connection between allergies and food. Her father had also been an allergy sufferer. She began studying for her Masters in Nutrition while researching with scientists worldwide to find a cure for her son’s condition. She earned a Masters in Nutrition and opened up a private practice, Coach For Healthy Living. She is now a functional medicine specialist and nutritionist. Finding a lifestyle that helped her son flourish physically, mentally and emotionally was a turning point for Guberti. She decided that helping other parents was a priority. She became a Defeat Autism Now practitioner and is one of Jenny McCarthy’s Generation Rescue practitioners offering specialized functional medicine lab work and customized individualized supplement/homeopathic remedy regimes and food recommendations. She also provides customized regimes for men, women, children, family and corporate wellness. Nancy practices a biomedical and nutritional approach to healing. “Living in today’s highly stressed society, filled with environmental toxins, genetically modified and processed foods, I provide functional medicine testing which I use to develop treatment regimes and diet recommendations to combat each client’s health issues,” Guberti explained. For Guberti that’s a sign of a job well done. Though the transition wasn’t easy, she’s found much more than a career but a mission for healthy living. “Switching careers at any age has its challenges but persistence and love of the mission is imperative,” added Guberti. 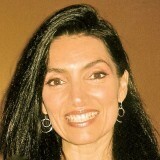 Nancy Guberti has offices in Greenwich CT and Westchester County. For further information visit www.nancyguberti.com or via email at nancy@nancyguberti.com. For healthy living advice follow her on Twitter and Facebook. She works with patients throughout the United States and seven different countries via office, phone and Skype.